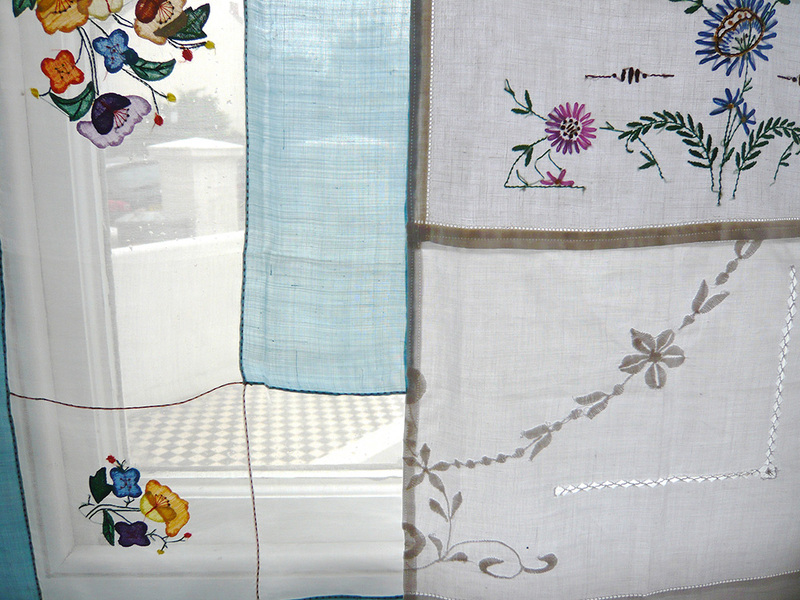 New Curtains from Old Fabrics for a New Home! So, I’ve been unforgivably quiet recently. It’s been a wrench to be kept away, but the reason is that I was moving house. It was a bit of a pain at times, but the end result = a much nicer flat in a much better area of Brighton and wondering why we didn’t do it years ago! Isn’t that always the way. Hey ho, it resulted in a thorough clear out (I think I prefer to call it a “stock take”!) which means that I will be having a sewing sale of some of my clutter, erherm, overflow sewing stuff, at the workshop in a few weeks and now have some lovely new storage at the workshop courtesy of my very handy dad!! 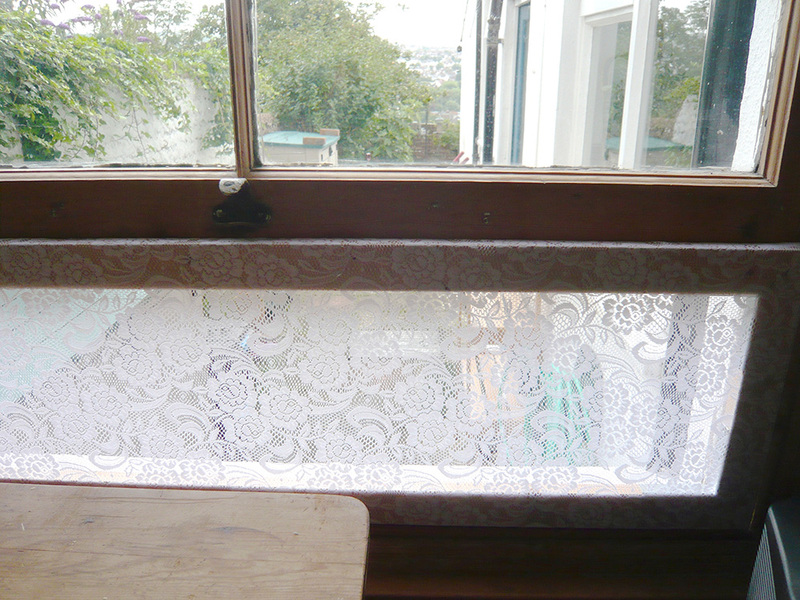 One of the things I couldn’t wait to do in the new place was to make some curtains. I decided to make some in the style of the workshop one that gets lots of compliments (see some pics of it here if you haven’t been to MIY Workshop). 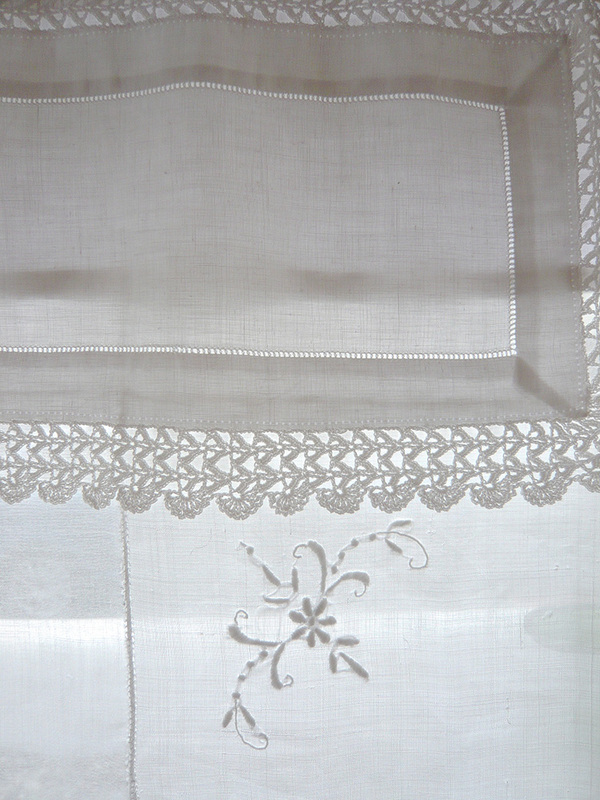 I have a rather large collection of hand embellished household linens. You know, the kind of pretty things you see at car boot fairs and antique shops and charity shops and think; “Oh it’s lovely but what would I do with it?”. Fortunately that’s never stopped me from acquiring things, but they were shamefully kept hidden in boxes until I decided that this could be the perfect use for them. They’re now functional and I get to look at them everyday. 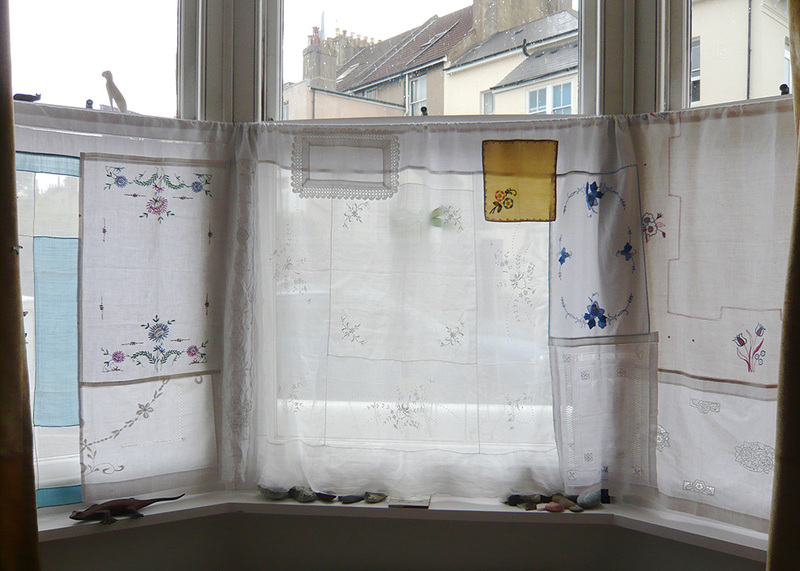 I realised when putting these ones together that they’re also kind of modular in design; some of the pieces that have stayed whole within the curtain can easily be removed and the size of the curtains can easily be modified by adding or removing pieces. Here’s how they look from the inside…. 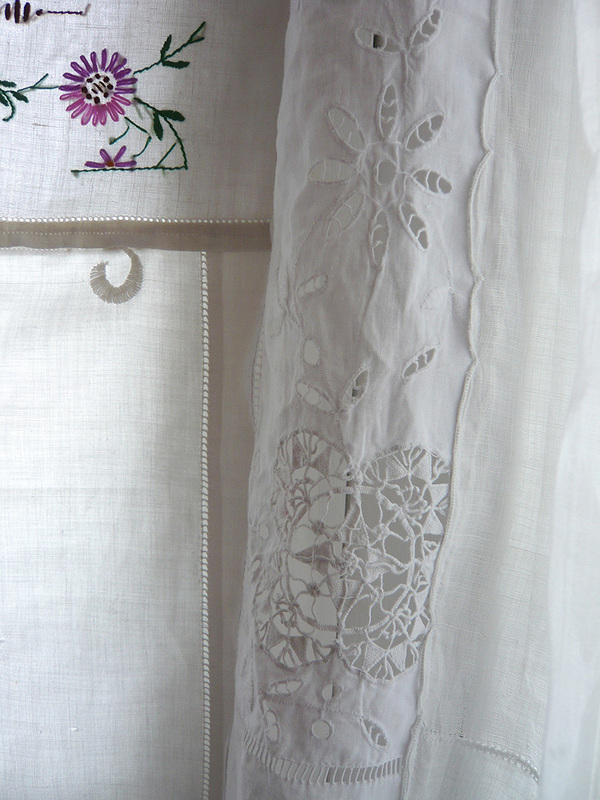 ….and close-ups of some of the lovely details (all hand worked and by anonymous makers)….. I particularly love this appliqué – the stylised shapes of the flowers, the delicate fabrics applied onto organdie and the lovely fresh colours (which I realise may fade in the sunlight, but I’m interested to see how they will change). And here’s how they look to passers by! So as you can see I’m not exactly a fan of the traditional net curtain! 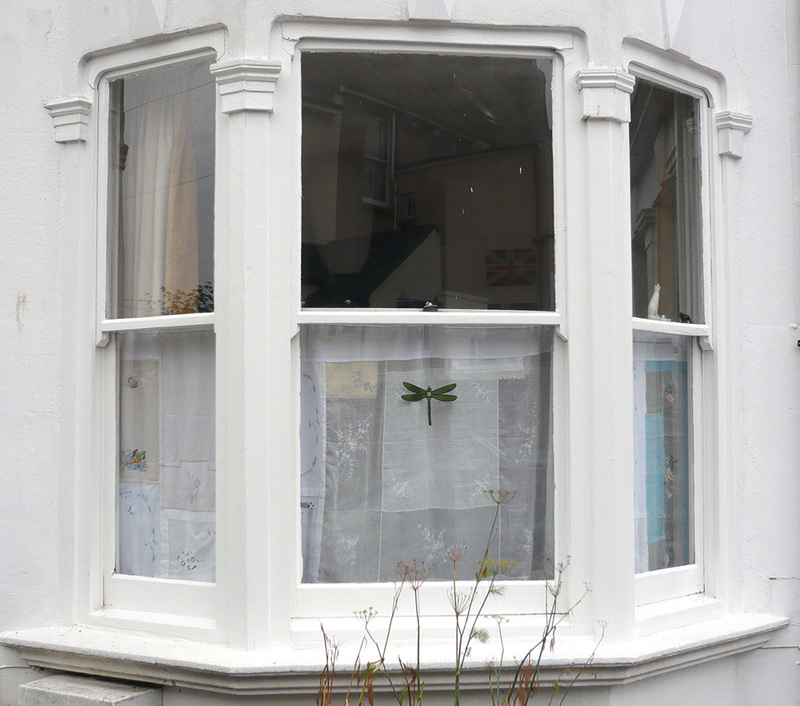 We tried another net curtain alternative in a different room…..
Net curtain stretched over a wooden frame made to fit into the gap left when the sash window is opened. 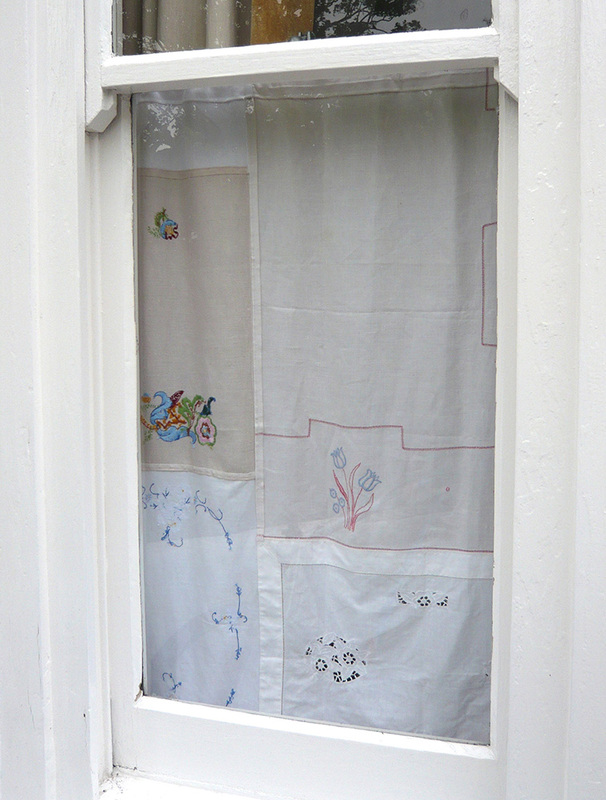 Great for keeping out all the pesky insects that make a bee line for your room as soon as you open the window! It’s a bit rough and ready, but is a prototype work-in-progress and definitely has potential. 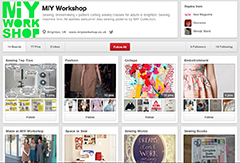 This entry was posted in MIY Workshop and tagged curtain making, hand embroidery, learn to sew brighton, MIY Workshop, sewing classes Brighton, vintage household linen, Wendy Ward. Bookmark the permalink. Oh my, I love them! 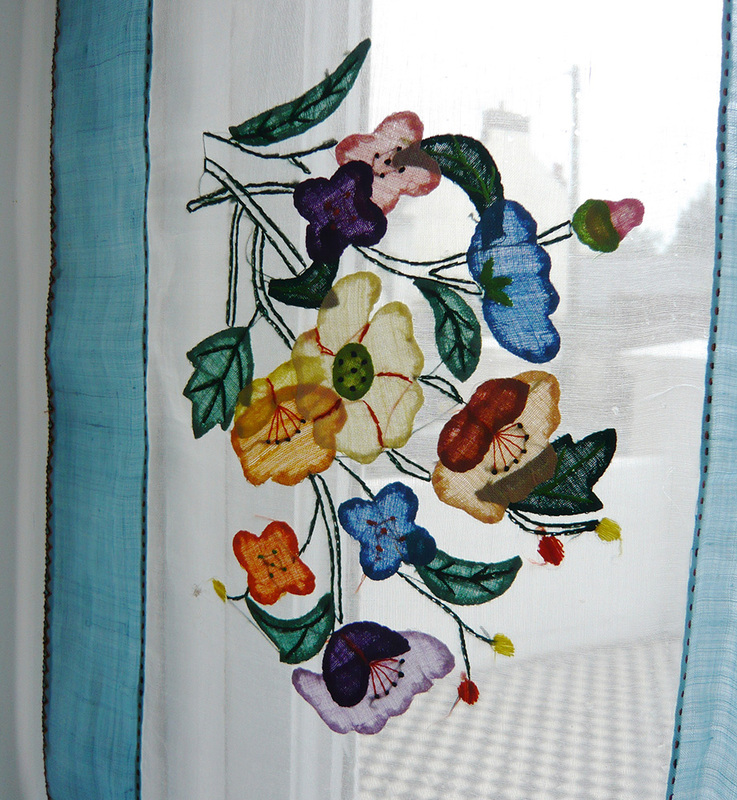 Love the idea as I have lots of Italian hand embroidered towels I’ve been given over the years. 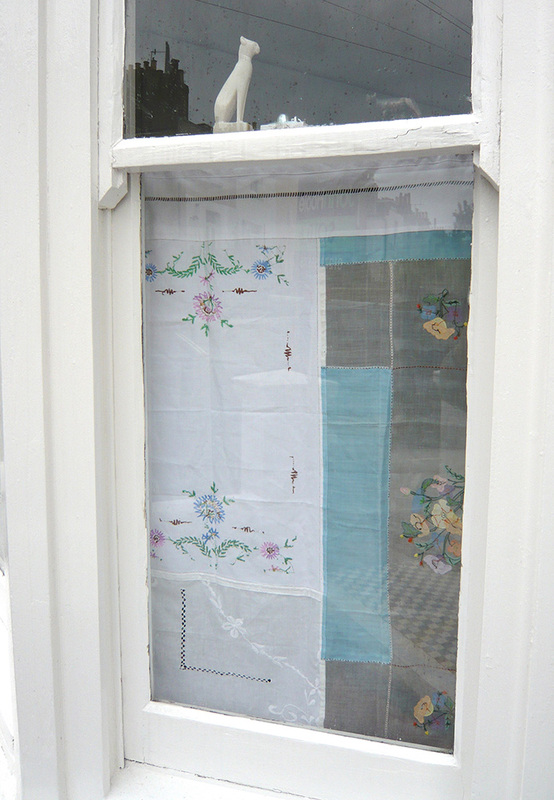 I do like the window screen , I might copy it as I can’t open my sash windows or my new kitten escapes. It’s a good solution . These are beautiful. I wonder, did you hand stitch them together or use a sewing machine? I’d like to hear a little about their construction. 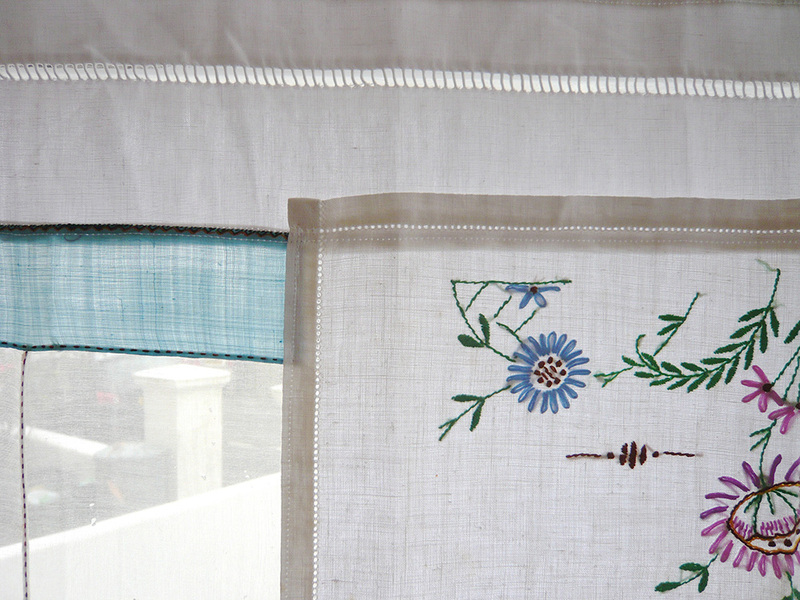 I have bins and bins of antique linens that I’d like to make use of. Thanks!